Those who grew up with the Nintendo 64 may recall the system’s shockingly expensive games. A new N64 cartridge ran anywhere from fifty to eighty dollar, with most games falling somewhere in between. In 2019 that equates to nearly $100 a game. My brothers and I owned our fair share of must-play hits like Super Mario 64, The Legend of Zelda: Ocarina of Time, and Star Fox 64, but more often than not our parents would suggest we simply rent a game for a little while, instead of exhausting our meagre savings. Old Towne Video was our video and game rental spot of choice in my hometown. Though it had a smaller selection than the local Blockbuster, Old Towne Video always had more obscure and interesting offerings. It was the shop where I discovered cartoon classics like My Neighbor Totoro and Rikki-Tikki-Tavi, two of my animated favourites to this day. Old Towne Video’s gaming section was also full of titles that my brothers and I hadn’t seen for rental anywhere else. 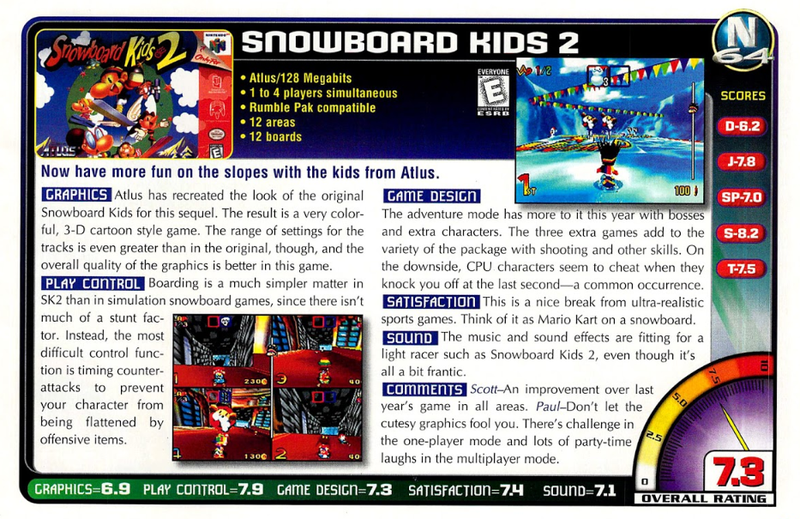 Our go-to was a snowboard racing game by the name of Snowboard Kids 2. 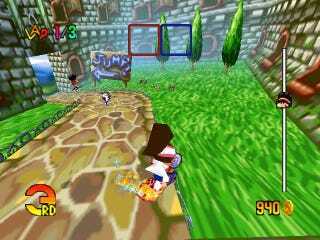 The game soon became one of our most-played N64 titles, accompanying us to various sleepovers and hang outs around the neighbourhood. 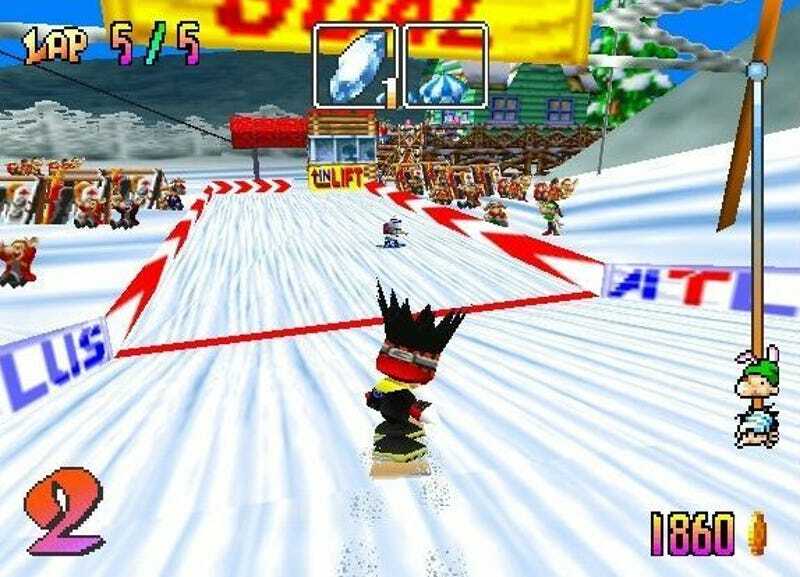 Snowboard Kids 2 was a hit among our friends and family members, but we never met another Nintendo 64 owner, young or old, who could count the game as part of their collection. It always seemed odd to me, even as a child, that such a beloved multiplayer title could be so overlooked. 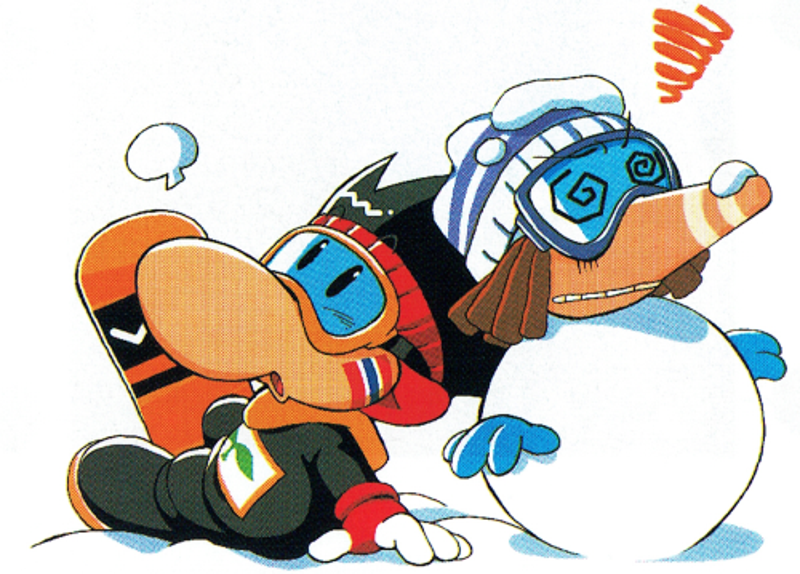 As a child, my favourite part of Snowboard Kids 2 was the game’s goofy characters, every one of them brimming with their own over-the-top personality. Like most competitive multiplayer games, each character was saddled with a special skillset that was supposed to set them apart. Slash was the all-around type, Tommy was heavy and fast, Nancy was adept at pulling off tricks — everyone had their pros and cons to consider. 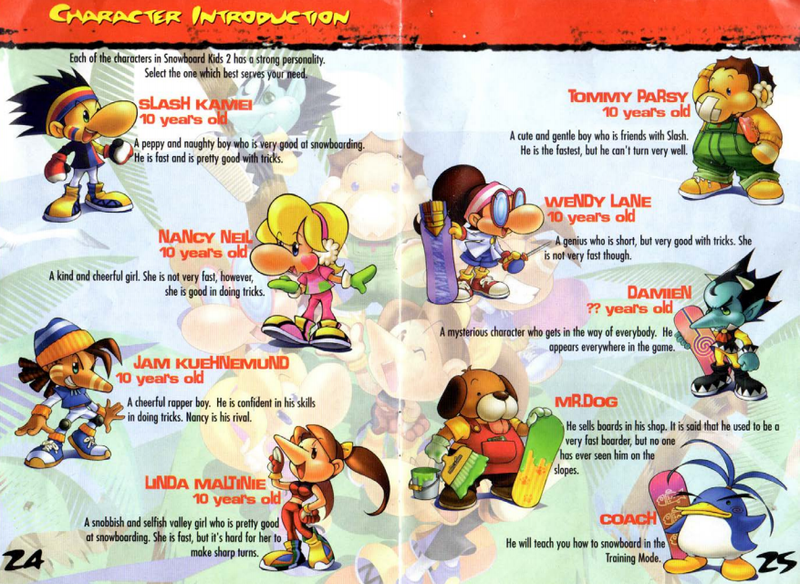 The characters even had special skins that could be unlocked, including summer, space, and Halloween outfits. My character of choice was always the genius inventor Wendy, who I decked out in pirate gear and equipped with the wicked Dragon snowboard. Often times nostalgia plays tricks on us. It tempts us into playing games we thought were undeniable classics, only to force us into the realisation they were merely a jumble of colourful polygons that managed to entertain us at the time. 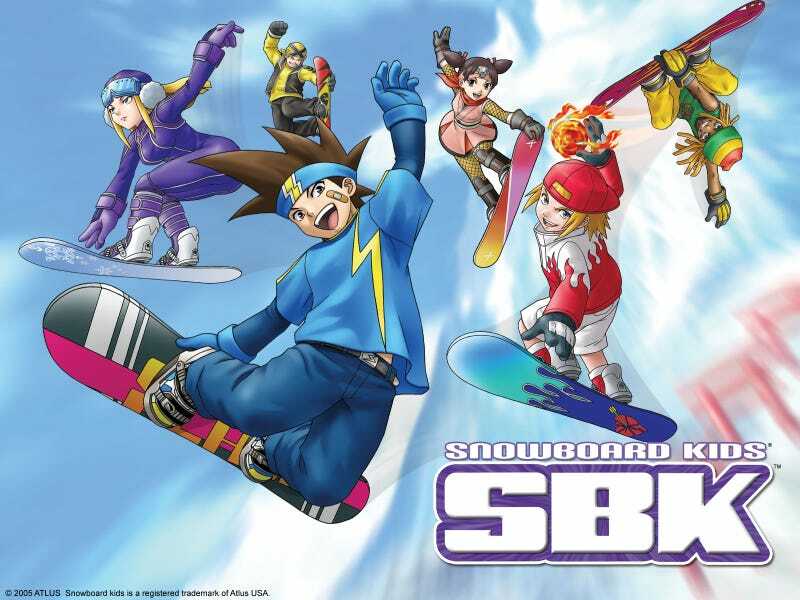 I face this fear every year or so when I load up Snowboard Kids 2, worried the game is going to finally let me down. But it never has. The tight controls, wacky characters, and vibrant courses still hold up, at least in my book.